It’s snowing right now…again! Which makes it a little more tolerable that, as I write this, the weekend is coming to an end. 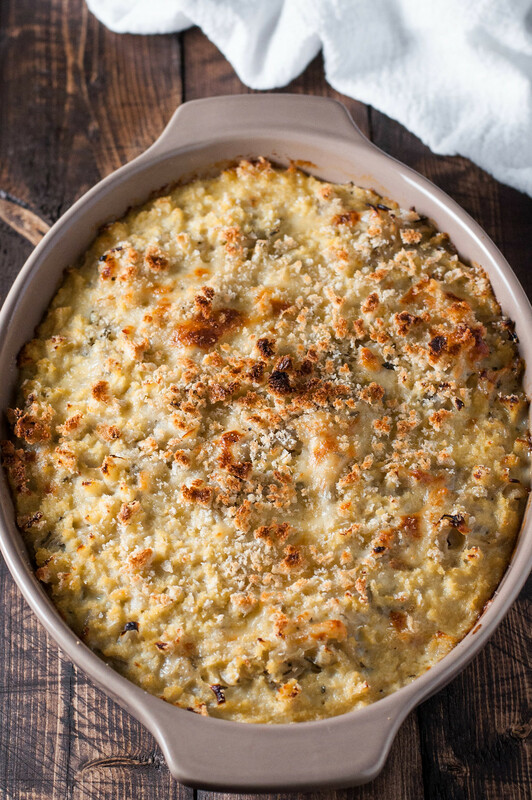 It was a weekend filled with not one, but two new gratins–this onion lover’s dream onion gratin, and, my favorite, polenta “gratin”. I’m not totally sure a rich mixture of mushrooms, tomatoes, and wine bubbling between two tender layers of polenta qualifies as an official gratin, but who am I to conclude? It doesn’t really matter because it was so salty and comforting, and I can’t wait to share it with you…in a week. I know, so cruel, but I’m planning ahead right now because I leave for Dallas on Sunday! My feelings about the onion gratin aren’t so conclusive. 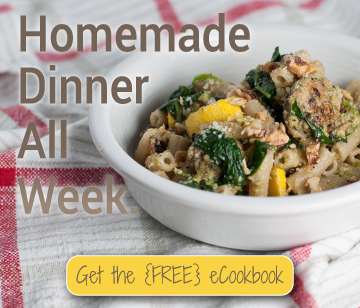 Normally I wouldn’t publish a recipe on NCK if it wasn’t tested and fully approved, but this series features a cookbook cook through, so I think it’s only fair to share all the results–good, bad, or ugly. Now don’t get me wrong–this thing was far from bad. It will, no doubt, get eaten, but it needs some tweaking. The original recipe calls for ground cloves, whose flavor I’m not the biggest fan of, and yet I dumped in a generous pinch anyway. One of those prophetic cooking moments where you know you’re dooming yourself even as you add this or that, but somehow you robotically continue. It’s just a matter of personal preference I think, because Steve liked the cloves. Bottom line: if you know cloves don’t do it for you, don’t add any (I didn’t include them in the recipe below). The recipe in the book also specified a choice between milk and stock. Usually with a gratin, I go straight for milk, because it produces a creamier, thicker, more sturdy end product. This time, I had about 7 quarts of freshly made veggie stock on my hands, so I went with that. When I scooped out the first serving to taste test and photograph, it was just really liquid, and the eggs didn’t seem to solidify the dish at all. The next day, though, I warmed up a piece for Steve (who got home from the airport way too late for dinner the night before), and it was much more solid and creamy throughout. So what did we learn? Mostly don’t try to be all healthy using stock instead of milk, unless you have to for allergy reasons. If you are making it with stock, I’d either add another egg or two, or pre-bake this a day in advance, then warm it in a 325 degree oven the next day, until heated through. As with any inconclusive recipe, I’m anxious to return to this and perfect it, but for now, it’s on to the next. After last week’s bout of food poisoning or stomach bug or whatever unpleasantness it was, I’m still warming up to food. I know, you really can’t tell from the blog that there’s an issue, and luckily, my fluffy sweet potato buns and curried lentil salad from last week were a couple of the few things that did hit the spot. Unfortunately, the “last supper” before the sickness was pizza loaded with lots of caramelized onions–a major reason I didn’t get my usual level of enjoyment out of this gratin. I’m relying more on Steve as a taste tester, because I’m tending to be overly critical given my loss of appetite. Despite all that, I managed to take down way too much of a jumbo, fake butter coated bucket of popcorn when we saw American Sniper for date night on Saturday! To top it off, we stopped by an old favorite wine bar conveniently a few doors down from the theater for a couple glasses of vino and some snacks which I cannot tell you about–because they were for recipe research! If all goes according to plan, knock on wood, you’ll have a healthy tapas recipe made from a few pantry ingredients just in time for next weekend. And no, it’s not too early to start thinking about Friday. 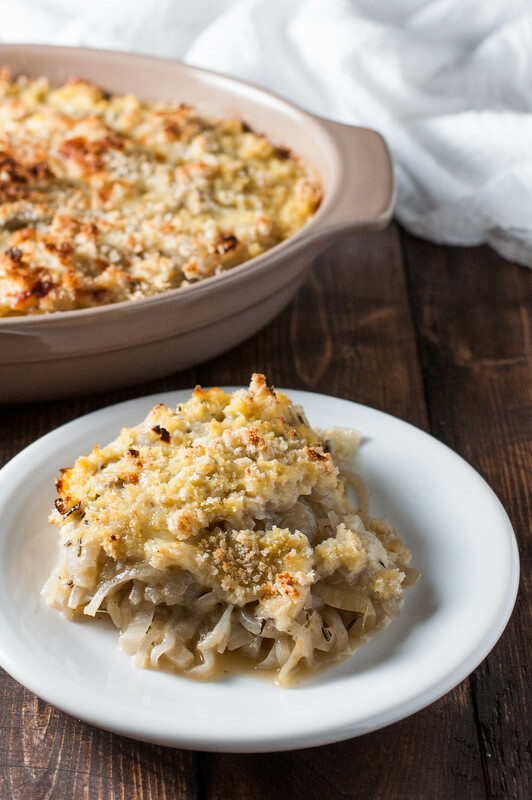 As I mentioned, I didn't hate this gratin, but I didn't love it. How's that for convincing? In the spirit of my cook through commitment, I'm still sharing the recipe, but it will likely be updated just as soon as I return to it for a firmer version with more eggs and less liquid. In your largest skillet, heat oil over medium. Add onions, bay leaf, thyme, ½ teaspoon salt, and ¼ teaspoon pepper. Using tongs throughout, toss to coat. Reduce heat to medium low and cook onions about 40 minutes, until very soft but not browned. They should sizzle gently the entire time. Add wine, raise heat so liquid simmers, and cook about 15 more minutes until wine has reduced completely and the pan looks almost dry. Remove bay leaf. In a large bowl, whisk together eggs, flour, and another ½ and ¼ teaspoon salt and pepper, respectively. While whisking quickly (so eggs don't solidify), pour in warm stock. Add onions and cheese and stir to combine. Butter a 2 quart gratin or baking dish, then add the onion mixture. Top with a layer of bread crumbs. Bake 25 to 30 minutes, until bubbly and starting to brown. 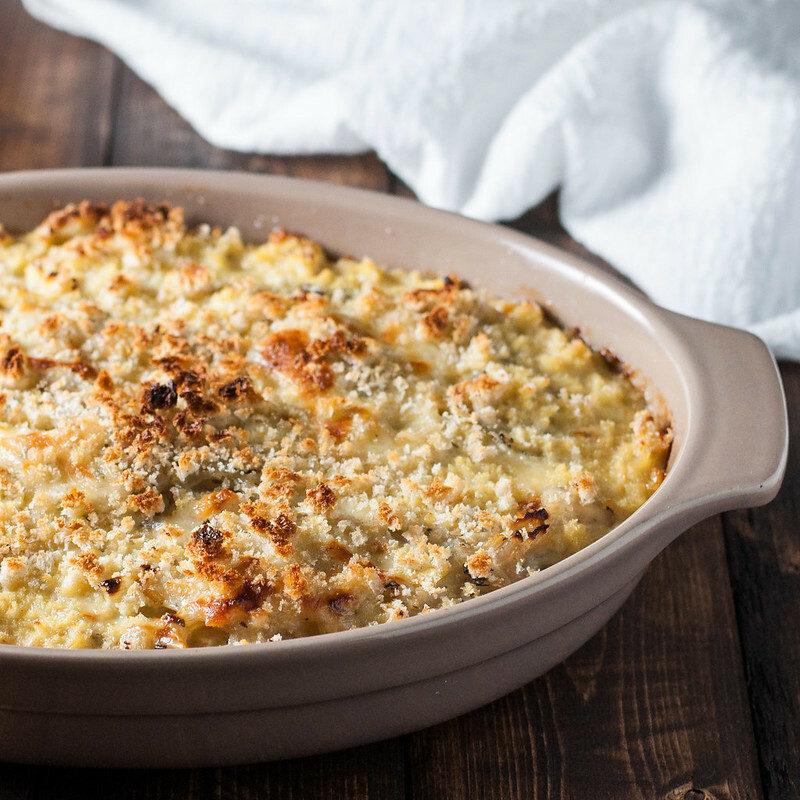 If bread crumbs are slow to brown but the dish is cooked, heat under the broiler for a few minutes, watching carefully to avoid burning. Let stand 5 minutes before cutting and serving. Much of the prep time is relatively inactive, waiting for the onions to cook. 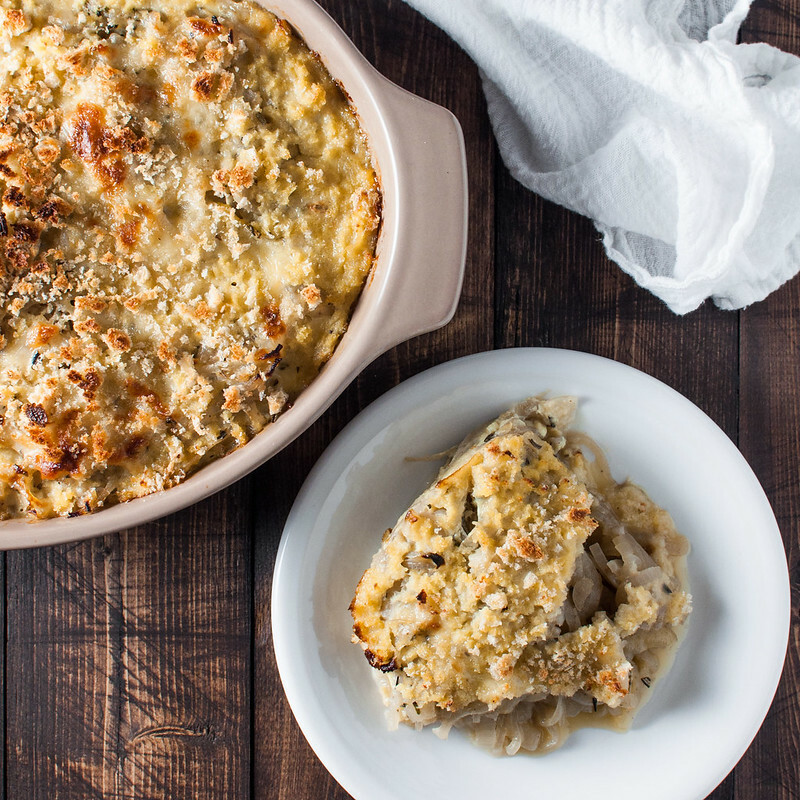 Despite the prep time stated, this is one of the easiest gratins I've made yet. 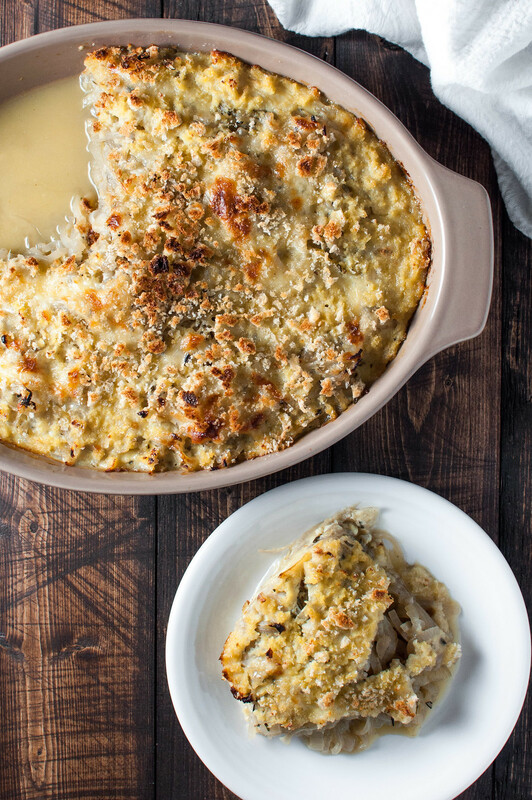 Assemble the gratin ahead of time, waiting to add the bread crumbs until just before baking. If baking directly from the refrigerator, you may need to extend the cook time. As suggested in the blog post, try more eggs for more solid pieces of gratin. My recommendation (untested) would be to add two egg, and reduce the stock or milk to 1¼ cup. Note: This page contains Amazon affiliate links. It does NOT contain sponsored content. 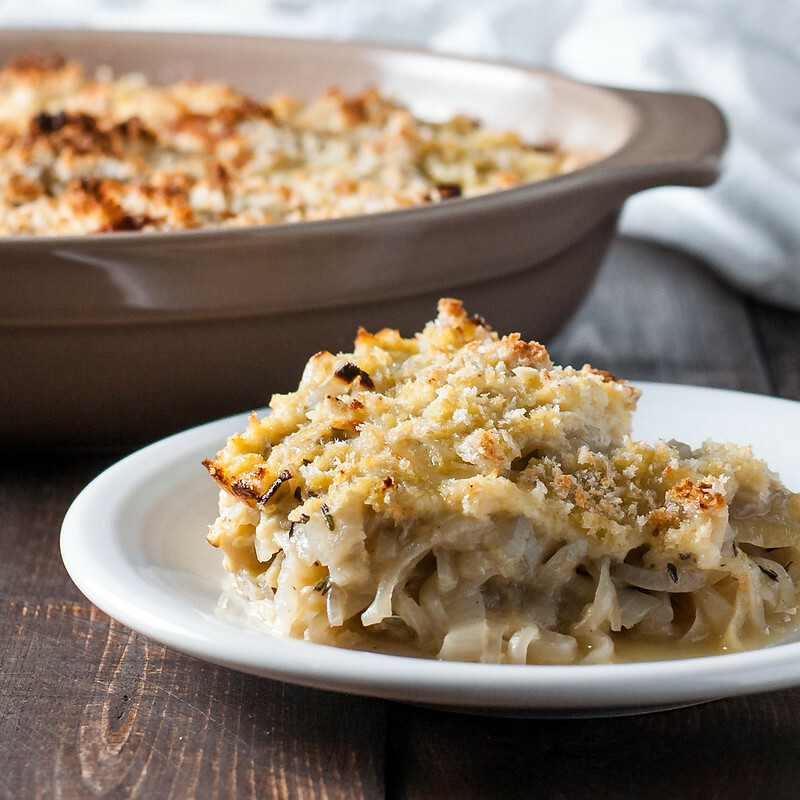 Affiliate links (to products I recommend, and often use) offset my ingredient and website maintenance costs, so I can keep bringing you onion-y recipes like this one. Thanks!